Honey, they say, is the "soul of a field of flowers." It's more than that if you're a beekeeper. It's your pride and joy. Whether beekeeping is your livelihood, your leisure activity, or something you do to help the declining bee population, that byproduct of your bees--honey--can also be an opportunity for bragging rights. 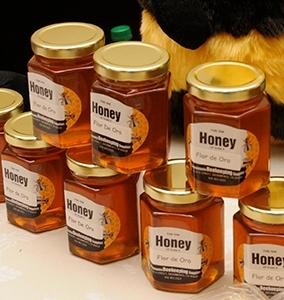 Entries are now being accepted for the nationwide honey competition sponsored by Good Food Awards. 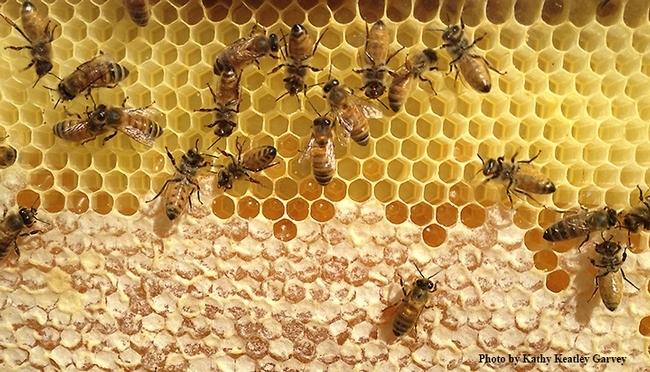 If you're one of the nation's beekeepers, there's still time to enter your honey, says contest coordinator Amina Harris, director of the UC Davis Honey and Pollination Center. The deadline to do so is Sunday, July 31. The four subcategories are Liquid and Naturally Crystallized, Creamed, Comb, and Infused Honey. The contest is divided into five regions--East, South, North, Central and West--with seven or more states assigned to one region, Harris says. West: California, New Mexico, Arizona, Hawaii, Nevada, Hawaii and Alaska. "Finalists from each region are selected on a tasting day in September," Harris explains. "They are vetted according to criteria on this page. Winners are selected during the fall months and announced at the end of the year. The awards will be presented in mid-January." Harris says there are more than 300 unique types of honey in the United States. The Good Food Awards will showcase honeys most distinctive in clarity and depth of flavor, produced by beekeepers practicing good animal husbandry and social responsibility. The honey can come from hives located in numerous places, from rooftops to fields to backyards. The Honey and Pollination Center is affiliated with the Robert Mondavi Institute for Wine and Food Science and the UC Davis Department of Entomology and Nematology. For more information, email Harris at aharris@ucdavis.edu. 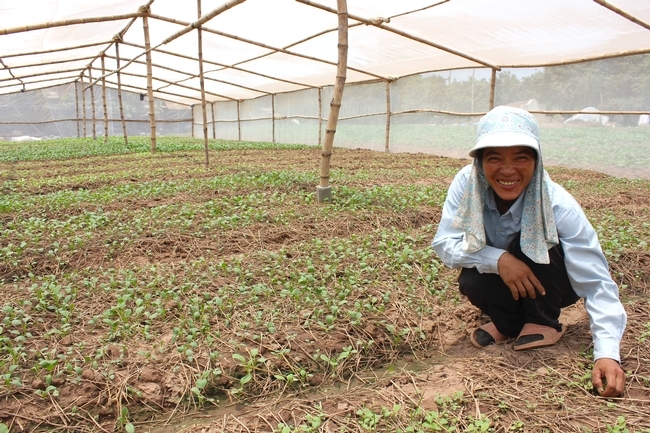 Each year on Oct. 16, the world takes a moment to raise global awareness of agriculture, hunger, and food issues. World Food Day officially marks the anniversary of the creation of the UN's Food Agriculture Organization (FAO) in 1945, and nowadays it aligns with other global events such as this week's World Food Prize activities in Iowa. Food and agriculture are central to what UC Agriculture and Natural Resources (UC ANR) professionals deal with every day. We're elbows-deep in solving specific problems like pest identification, childhood nutrition in schools, drought-tolerant plant breeding and spreading sustainable agricultural practices. Britta Hansen and Elise Brockett plant okra and other vegetables at the Horticulture Innovation Lab Demonstration Center, in advance of its grand opening on World Food Day. World Food Day is a day for all of us to take a step back and look at the bigger picture. 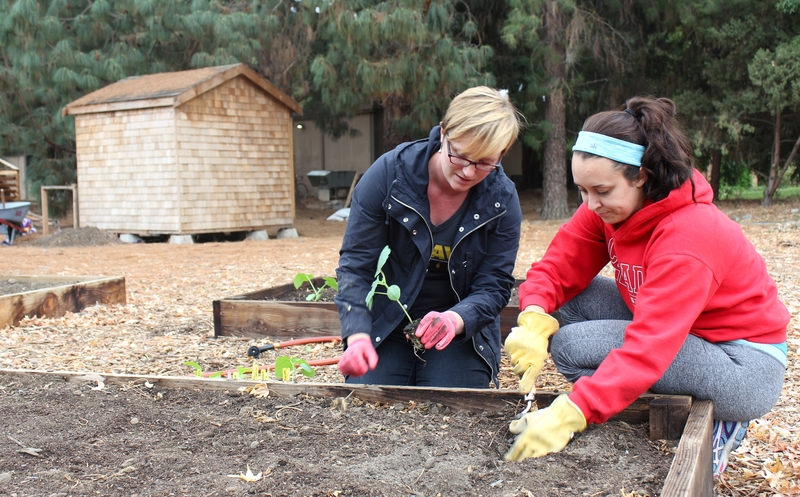 Here are some ways that UC ANR faculty are raising awareness on World Food Day this year. How will you join them? 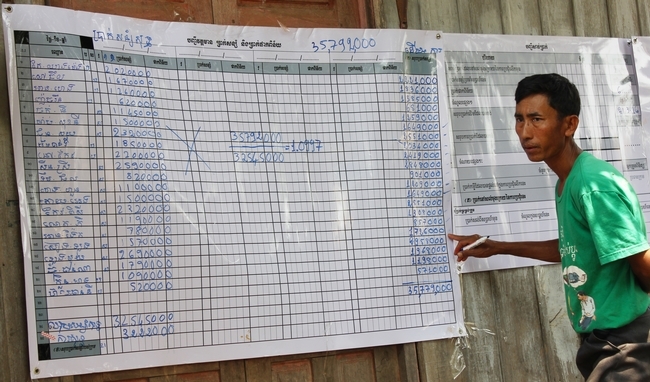 More information about World Food Day can also be found on the FAO website or by browsing #WFD2015 in social media. Ten large, shiny tanks stand near the Robert Mondavi Institute for Wine and Food Science at UC Davis, holding more than a year of rainwater and the key to processing food and drink during a drought. 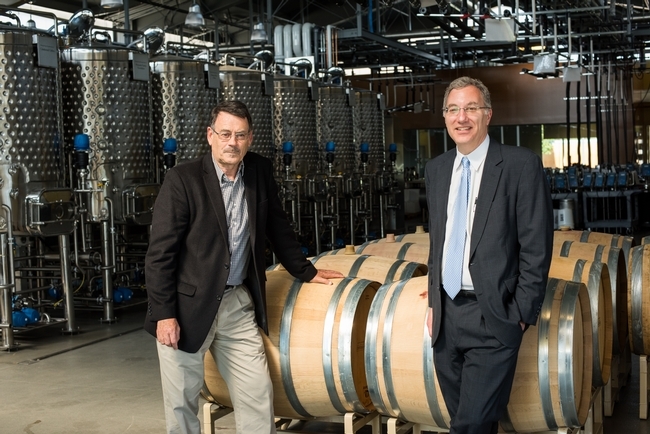 The water tanks, and the teaching-and-research winery they support, are showing students and winemakers throughout the world how to reduce processing costs, improve wine quality, and protect the planet's dwindling natural resources. The work is the latest in more than a century of trail-blazing viticulture and enology science at UC Davis. UC Davis researchers are working with Cooperative Extension specialists and farm advisors with UC Agriculture and Natural Resources to help winemakers and grape growers sustainably produce premium wine. Water is critical to winemakers in drought-stricken California and beyond. 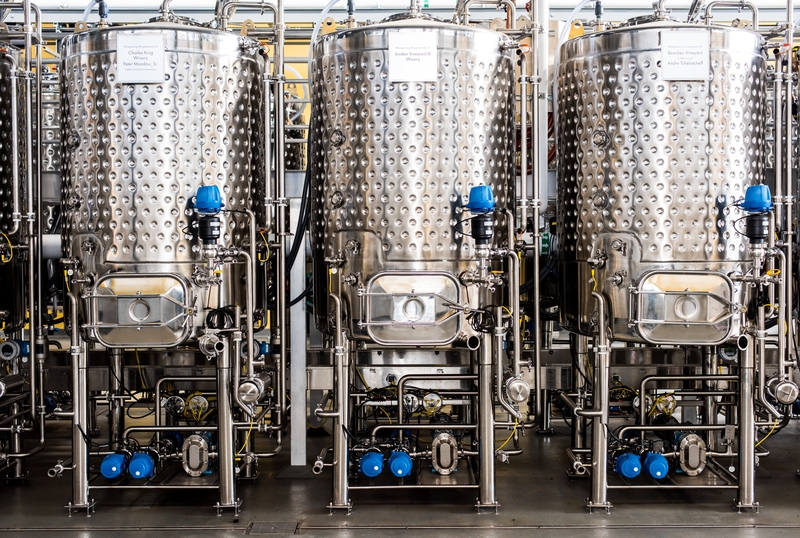 Grapes aren't a very thirsty crop to grow, but keeping fermentors clean is another story. 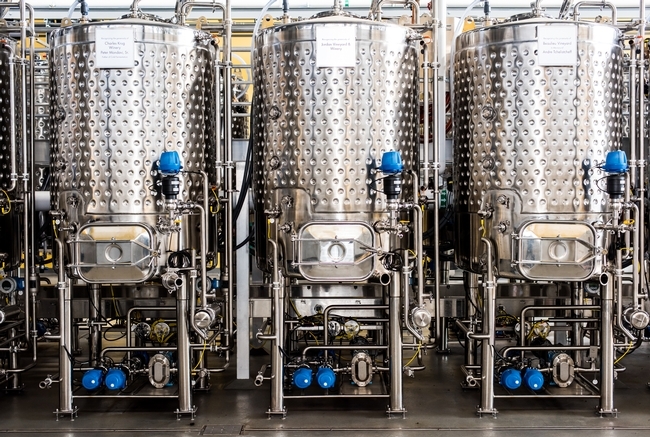 A typical winery uses four to six gallons of water after the grapes are harvested to produce one gallon of wine, and most of that water is used to wash equipment. Boulton and David Block, chair of the UC Davis Department of Viticulture and Enology, are developing self-cleaning fermentors capable of recycling 90 percent of that water. The goal: affordable technology and alternative practices that use less than one gallon of water to produce one gallon of wine. Winemakers currently remove sticky, fermented, grape residue from tanks with water and elbow grease. Clean-in-place technology replaces hand-cleaning with an automated system that sprays tanks with diluted solutions of potassium hydroxide and potassium bisulfate. So the water tanks near the Robert Mondavi Institute have two functions, to store water captured during the wet season to use during the dry season when it's needed most, and to filter and purify the water as it's used and reused to clean fermentors. Industry is starting to notice. In Sacramento, grocer Darrell Corti from Corti Brothers Market says where UC Davis leads, winemakers will eventually follow. “What we know about grape-growing and winemaking is primarily due to the work they do at UC Davis,” Corti says. A longer version of this story is in the magazine Edible Sacramento. Farm advisors: They're the local hand on the long arm of the University of California Agriculture and Natural Resources (UC ANR). They apply cutting-edge research to problems facing their farming neighbors, often adapting practices and research results to local conditions. 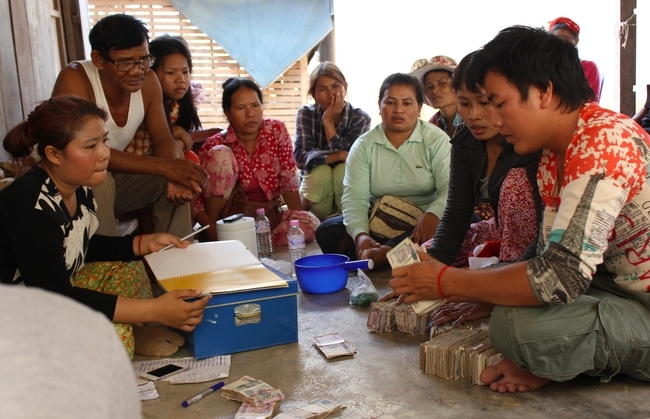 UC ANR Cooperative Extension advisors provide locally adapted science to local farmers. So it might come as a surprise that some farm advisors got their start in agriculture nowhere near their backyards or their neighbor's fields. In fact, more than a few farm advisors fell in love with helping farmers while they were overseas. Take Mark Lundy, for example. 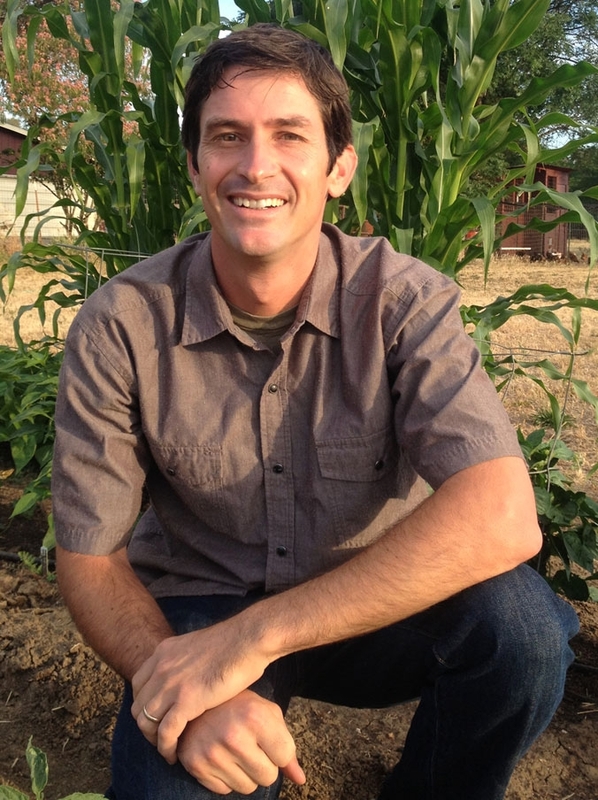 As the UCCE agronomy advisor in Colusa, Sutter and Yuba counties, Lundy works with farmers on field crops such as tomatoes, alfalfa, wheat, sunflower, beans, and an assortment of other vegetable crops. At a recent meeting for tomato growers, he presented about tools that might help farmers better apply fertilizers, with sensors adjusting recommendations for each individual field. Does it get more “local” than that? 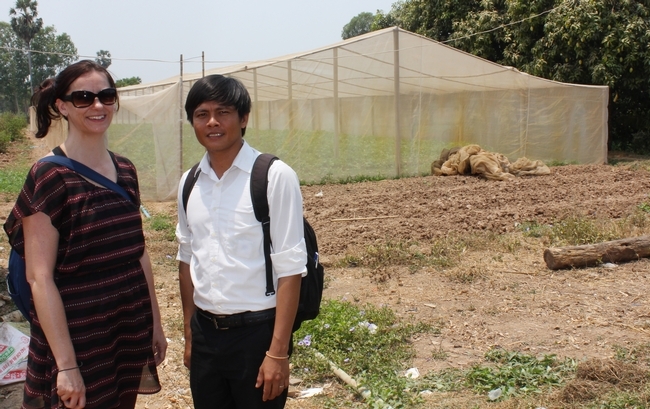 But as a UC Davis grad student, Lundy traveled to Malawi for a few weeks to help extension agents there teach farmers modern tomato-growing practices — as part of a Trellis project with the Horticulture Innovation Lab. Though Lundy had years of formal education in agronomy, he witnessed how Chimwemwe's relationships and local understanding made him a “sharper tool” when it came to helping local farmers. “Observing Chimwemwe in action inspired me to leverage the regionally specific knowledge I had gained about California agriculture during my graduate education and try to become a similarly sharp tool in my own backyard,” Lundy wrote. You can read the rest of the article, “How a Global Trip Inspired this Californian to Focus Locally” on the website for Feed the Future, the U.S. government's global hunger and food security initiative. 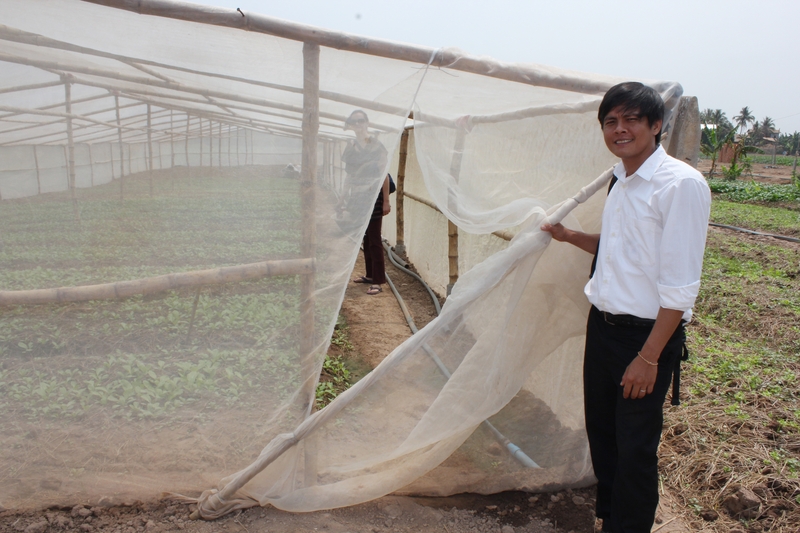 The initiative brings American ingenuity and expertise to bear in the global fight against hunger. Several agricultural research programs at UC Davis and UC Riverside fall under the banner of Feed the Future — including the Horticulture Innovation Lab, led by UCCE specialist Beth Mitcham. 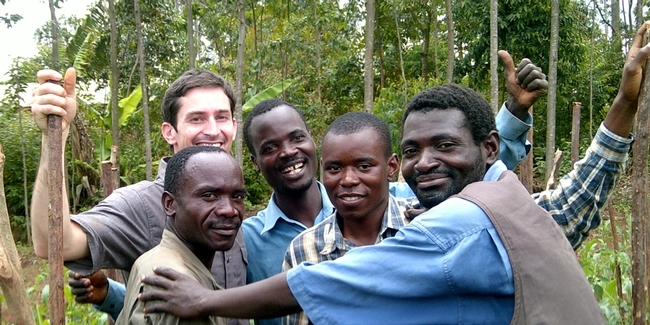 As a graduate student, Mark Lundy (back, left) worked with Chimwemwe (second from right) and colleagues in Malawi on a tomato production project with the Horticulture Innovation Lab.